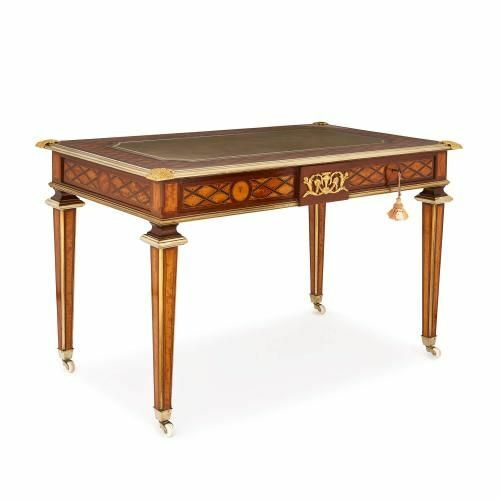 This fine English parquetry desk is attributed to Donald Ross, whose furniture creations are celebrated in museums that include the V&A in London. 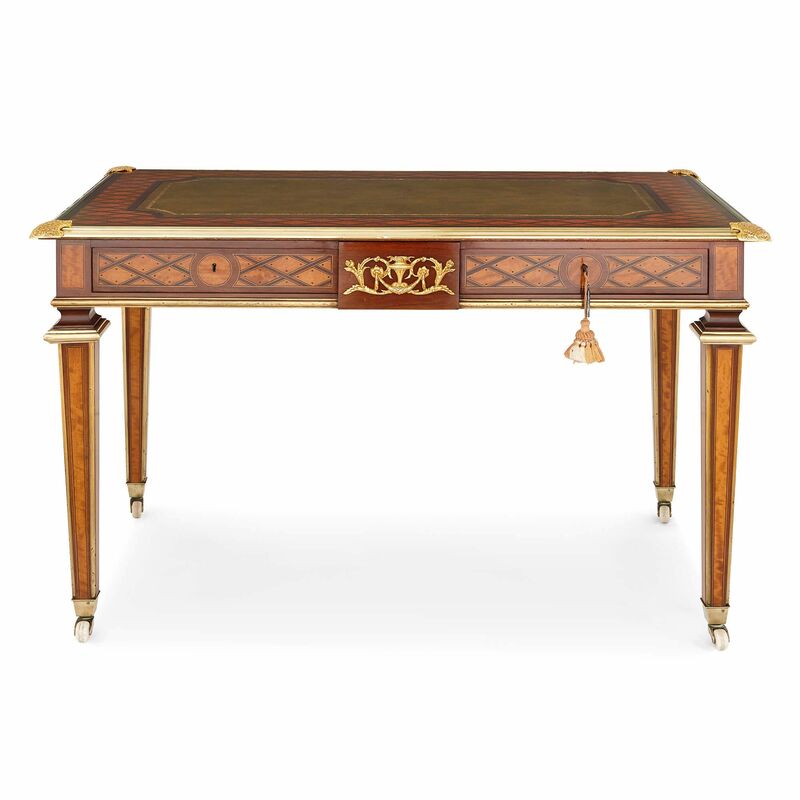 Donald Ross is one of the most celebrated of English furniture makers working in the second half of the 19th Century, and is particularly famous for his distinctive parquetry inlay with diamond patterns, which this fine desk wonderfully exhibits. 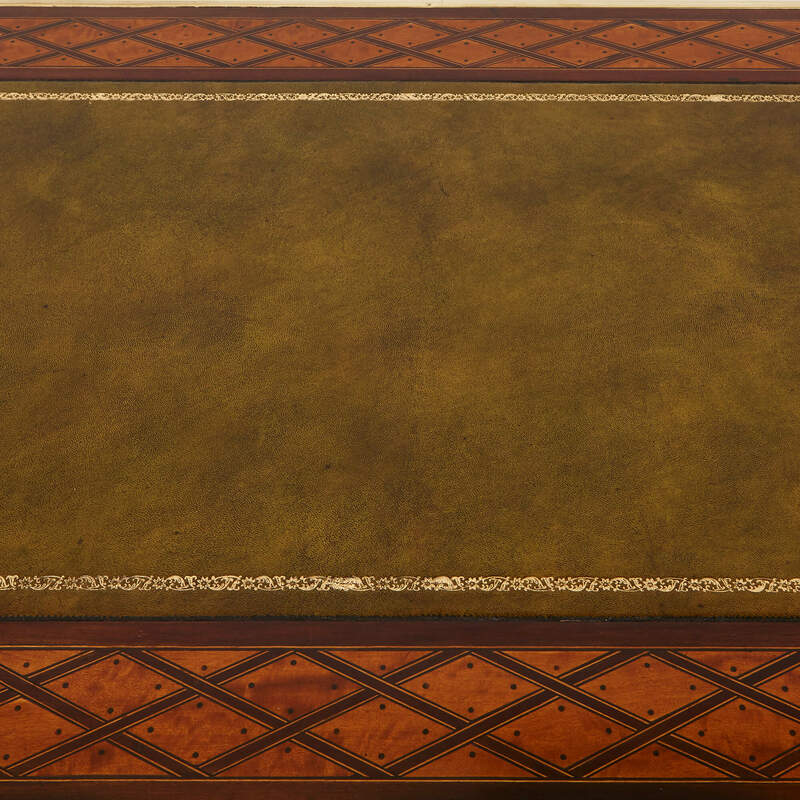 Ross didn't sign or mark his works, so there is a strong possibility that this piece was created by Ross himself. 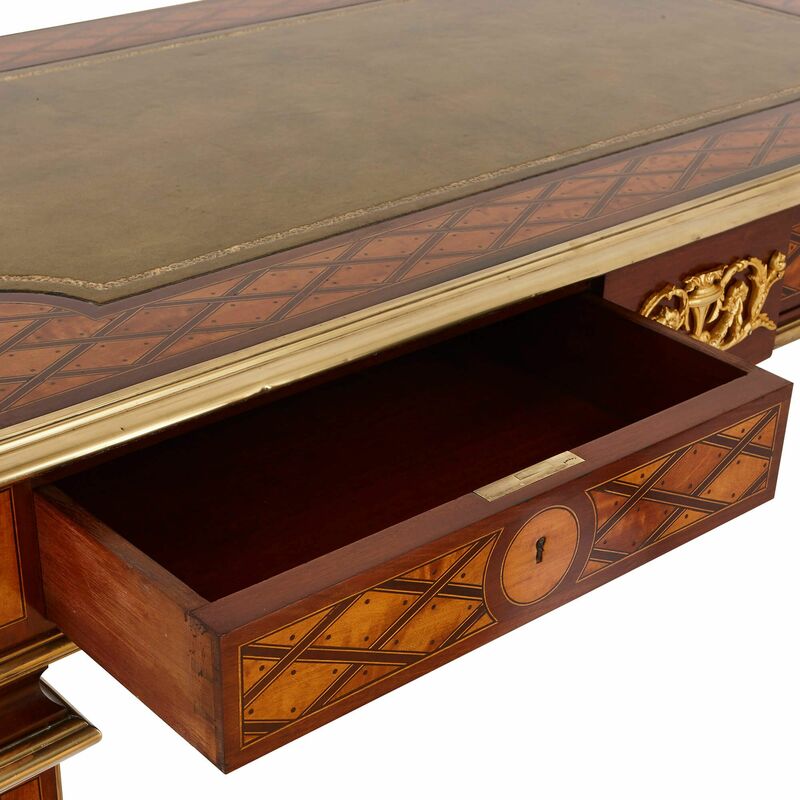 The desk is of rectangular form, and features a fine and broad writing surface of tooled, green leather with a parcel-gilt border and canted angles. 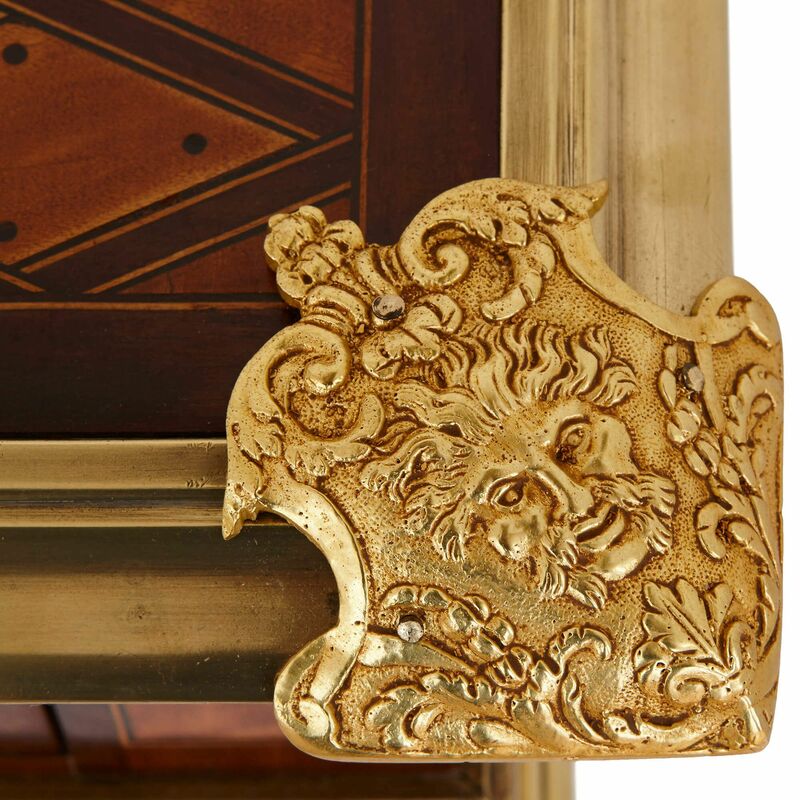 All around the edges of the leather surface is a border of exquisitely executed diamond-form parquetry inlay in satinwood and rosewood, which is contained within an outer rim of ormolu, mounted with Classical masks to each of the four corners. 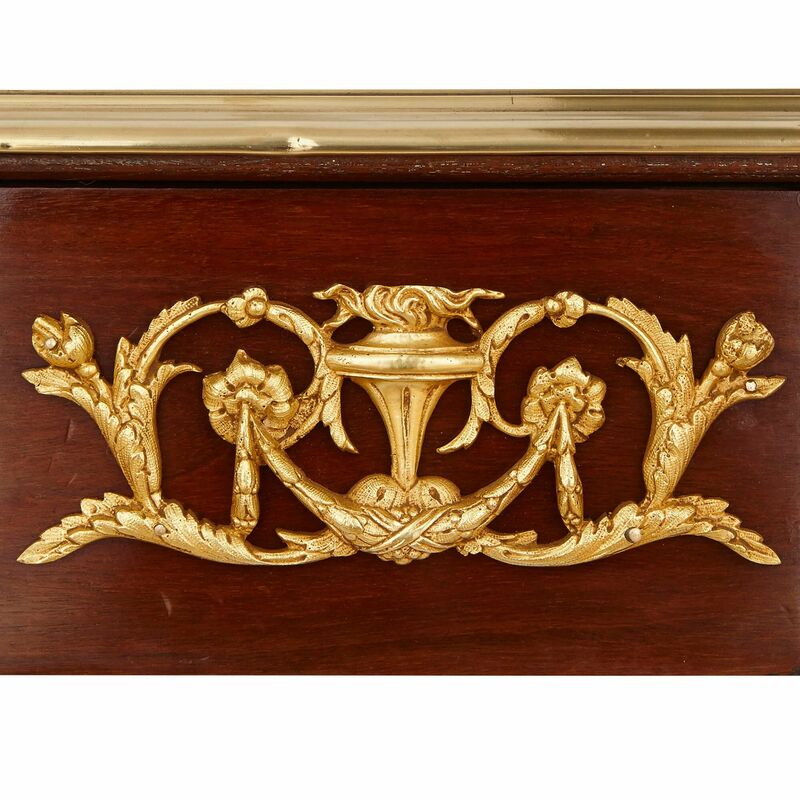 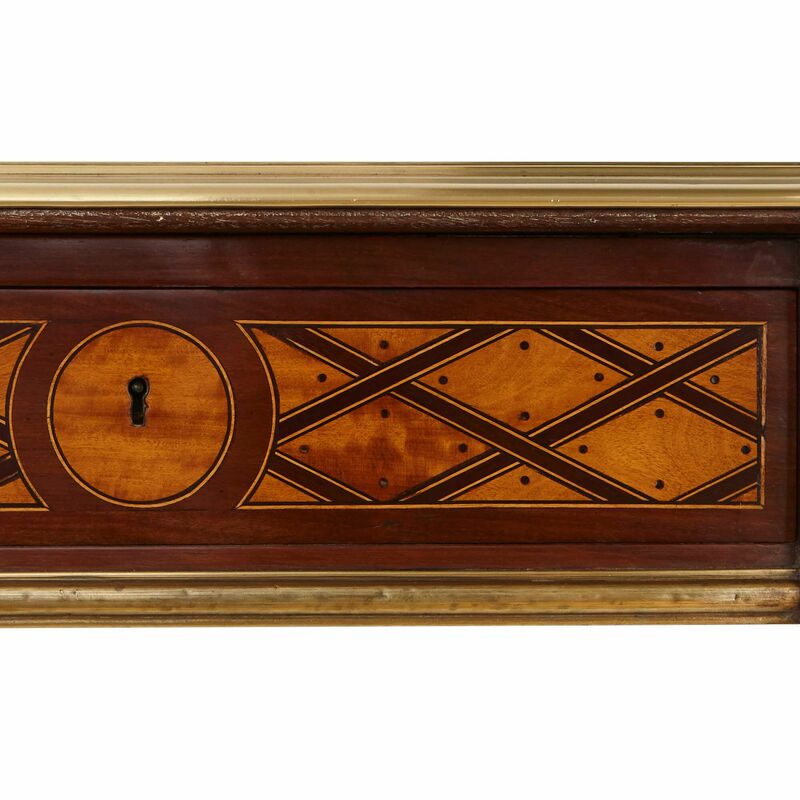 The parquetry design extends as a frieze around the edges of the desk, and the front is set with two shallow drawers separated by a central ormolu mount of scrolling foliage around an urn. The desk is set onto four square-form tapered legs which terminate in ormolu casters. 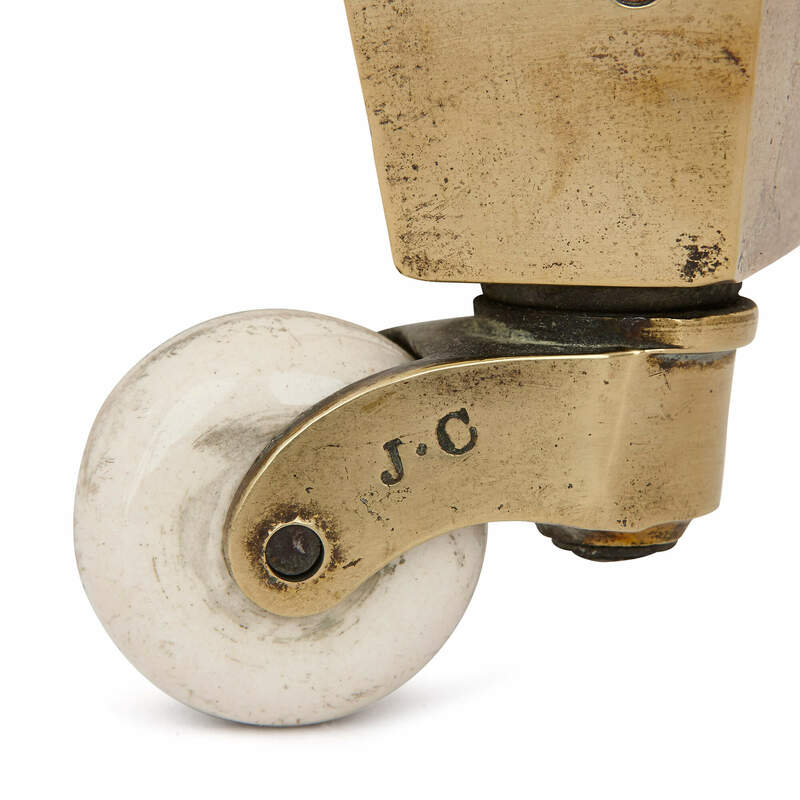 The casters are marked 'JC', after the metalworker who crafted them.